Finding a coach/mentor training provider is easy, the choice is enoromous, well it is one of the fastest growing industrires of the decade! However, choosing the right coach/mentor training provider with the right course for you can be harder if you don’t know where to look, or what you are looking for. Luckily, there is one key differentiator that makes it easier for you to identify and choose the right course that will support you in achieveing your personal and professional goals – it’s called accreditation. When you look for the support of a professional, you usually look for someone who is an expert in their field be they a doctor, a lawyer, a driving instructor, or an accountant – you always want to choose the best! Choosing a coach/mentor training provider shouldn’t be any different. You always want to choose the best, which means choosing a coach/mentor training provider who have had their course accredited by us. 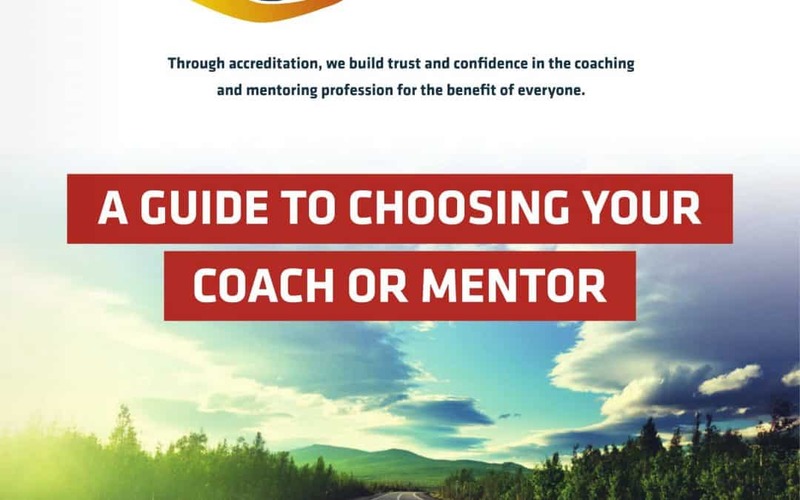 We believe that everyone has the right to be protected from non-accredited coaches, mentors and training providers (there is a separate downloadable leaflet about choosing a coach/mentor). So, we believe that every coach, mentor and coach/mentor training provider must be accredited in order to practice for the safe well-being of the public. Accreditation is our only business, that’s what makes us an authority on accrediting individuals and service providers in our industry. We don’t have our own training course to plug, and we are not driven by shareholders. Therefore, our sole focus is to make sure every single step of the accreditation process directly benefits our members. Ultimately, everything we do is aimed at protecting everyone to get best out of their experience.